Superior Accuracy. Effortless Set Up. 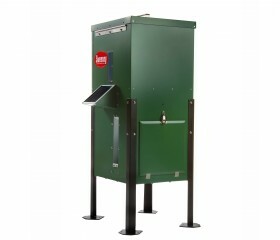 Sweeney Feeders are built to be strong, long-lasting and can endure the harsh conditions of the outdoors. All of our feeders come equipped with our renowned automatic timers for dependable service and optimal feedings for your wildlife. Driven to meet the needs of our customers, we at Sweeney Feeders believe in providing friendly, honest and trustworthy customer support. 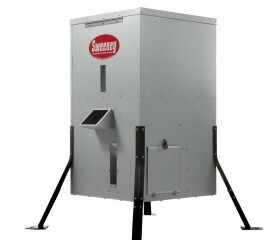 Sweeney Feeders makes products that last a long time, but we know that sometimes things just go wrong. If anything happens to your premium feeder within the first three years, we'll take care of you. We want our customers to be happy, and making sure our products give you the best experience possible is our top priority. 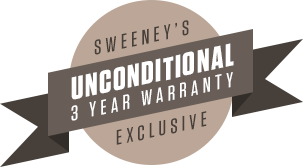 If your Sweeney Feeders product stops working before 3 years, it is covered regardless of the cause. Guaranteed. Attached is a photo of my grandson, Kyle Hanson, and the stringer of perch he caught off my neighbor's dock. The Sweeney feeder has been in operation for close to two months now. This was his first major fishing effort and I believe he is now firmly hooked. The picture was taken on Memorial Day, 2003 at Katy Lake just North of Saint Jo, Texas. I have three feeders from you and have been using them for the last 25 years, the person that informed me about them was Bob Lilly. They are the best investment I have ever made. Before getting my feeder from you I would buy a feeder every couple of years and the timer would break and had to be replaced. Thanks for making a great product.